The City of Boston is the proud home to one of the oldest public schools in the country: the Mather School, located at 1 Parish Street in Dorchester. This much needed Green Space Improvement Project will result in the creation of a permanent public art installation that includes landscape improvements. The permanent project will be located at the Church Street entrance of the building. The area is highly visible, very active and serves as an important bridge between the school and the surrounding neighborhood. 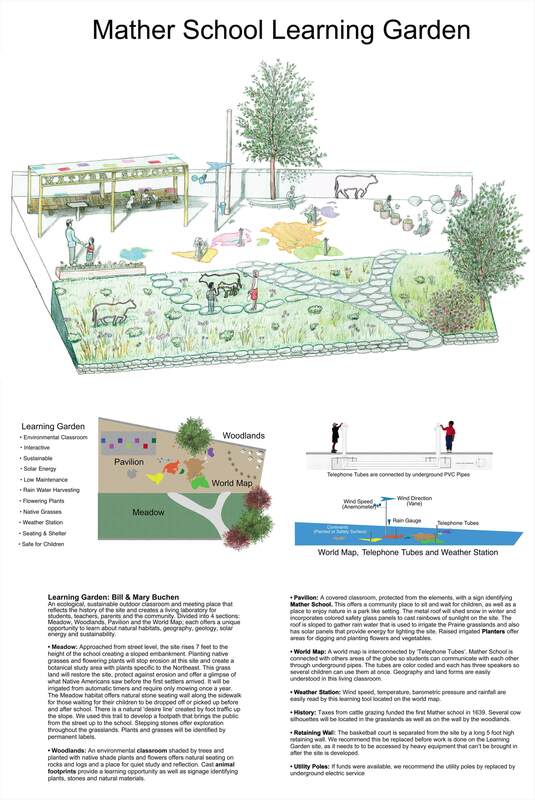 The aim of the project is to transform the existing greenspace and its surroundings into a more welcoming, comfortable public site and functional school entrance. This project is a collaborative effort between the City of Boston's Edward Ingersoll Browne Trust (BF), the Boston Art Commission (BAC), the Boston Public School Department, the Mather School Parent Council, and the Art Selection Committee of the Green Space Improvement Project. The Urban Culture Institute facilitated the art selection process. and at the Field’s Corner Library. Community outreach and meetings with neighborhood associations continued through February 2016. 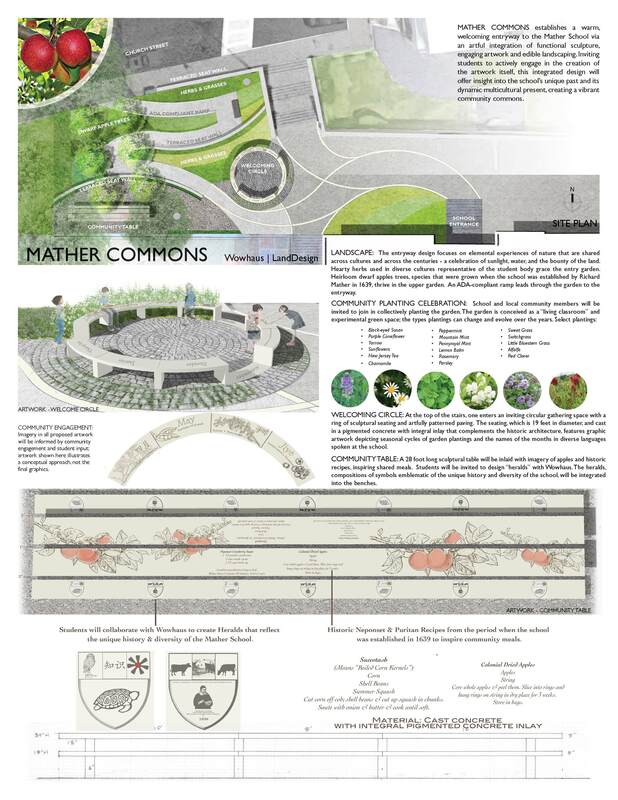 The Mather Commons proposal by WOWHAUS emerged as the winning design and was confirmed by vote by the Boston Art Commission at the March 22, 2016 meeting. Fund raising is in progress for the $200,000 anticipated budget. The project will be funded in part by the Edward Ingersoll Browne Trust Fund, a public charitable trust administered by the City of Boston Trust Office. Mather School Green Space, WordPress blog. Hobin, James. 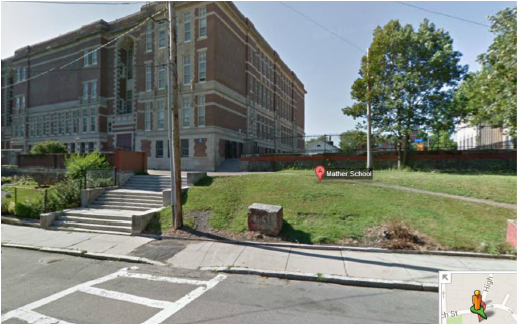 "Feedback Sought on Mather School Green Space Project,"
Dorchester Reporter, Jan. 14, 2016.